Even with the best oral care we can be our teeth’s worst enemy. Having an active lifestyle is great for your body’s health but can put your teeth at risk. 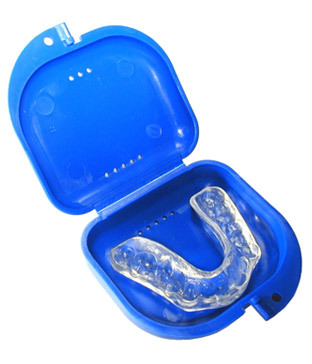 To protect your teeth and mouth during impact sports consider using a sports guard. They can be custom-made to fit your mouth comfortably and can protect them during rough activities. Grinding your teeth while you sleep is called bruxism. When it becomes excessive, it can severely damage your teeth and leave you with headaches and pain. By wearing a custom-made bite appliance at night you will be able to protect your teeth from cracks and wearing and make your symptoms go away. Sleep and play better knowing your teeth are protected. If you need more information about Guards, Bite Appliances in Grand Rapids, contact us today.